News has it that Microsoft Corporation’s (NASDAQ:MSFT) internet explorer will not be there in 2015. Yes, that is right. And this is not because it will be replaced by Google Chrome or Mozilla Firefox, but the company has decided to replace it with a new program. It is important to mention here that Internet Explorer had been the favorite web navigation program of the United States users for the last 20 years. It was only during the last year when Google Chrome, for the very first time, beat Internet Explorer in terms of popularity in the region of United States. A report released by ZDNet showed that Microsoft Corporation (NASDAQ:MSFT) will be replacing its internet explorer with Spartan. The new program will be featured in all the Windows 10 gadgets. 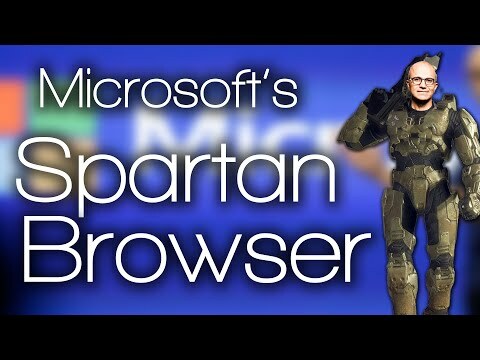 Spartan will not only be the latest version of IE but it will also be a lightweight and revamped program. The company wanted to design a browser that could enable extensions, for quite a while now. Perhaps, it is time when Microsoft implemented its decision. Spartan will have the features of both Google Chrome as well the Mozilla Firefox in order to gather the maximum number of customers. The company also plans to launch an Internet Explorer 11 on temporary basis so that the users could use it in Windows 10 for compatibility purposes. The question arose in the month of August 2014 as to whether the company should rename its latest program or launch it as a latest version of Internet explorer. A group of engineers working for the company generated a question on the Ask Me Anything forum in order to address the issue. According to the post of one engineer, the company had discussed this issue at length, for it wants to rid itself from the negative perceptions that have been attached to its products over the course of 20 years. The decision of Microsoft Corporation (NASDAQ:MSFT) to replace the software completely is quite a bold one. Companies usually avoid such decisions, no matter how big their business is or how deep their pockets are. It is true that Internet explorer had some negative perceptions, but the product had developed a brand name over the years; it will be difficult for the company to reshape the perceptions by introducing a whole new product with no user base at all. But then again, this step was inevitable, considering the stiff competition that the company is facing with Chrome these days. According to a recent report by Adobe Digital Index, the overall market share that Google Chrome enjoys is at 31.8 percent in the U.S market. On the other hand, the market share of Internet Explorer stood at 30.9 percent. On the third position was Safari software of Apple, which managed to gain around 25 percent of the market share. What is interesting to note here is the fact that the market share of Safari and Chrome was expected to rise even further in the coming quarters, for both the software are in built in iOS and Android. The shares of Safari and Chrome came to a total of 59.1 percent and 20.3 percent respectively when it came to the smartphone business of United State. No money in browsers, only losses and their reputation for making website developers do more work arounds is beyond imagination so they will continue without developer support making this even worse. The playstation won the console war so the outlook of the xbox unit is grim. The cloud sales are stagnant due to many reasons, one mainly is privacy and security which the internet can never accommodate, only files stored locally in your presence are truly secure and private. When you hear about a downgrade by the biggest bank in the country, you start to fact check. When you hear about securities exchange investigations and irs tax evasion cases; you start to wonder where this company is going. Court cases are never good for the bottom line, and the bottom line is not even good right now Then you look at the numbers from above and it becomes real clear the outlook for this business model. Please, can someone tell them, they need another source of ‘revenue’ really fast and showing they have a bunch of browser users is not going to pay the bills.